Can A Portable Air Conditioner Save Money On Energy Bills? Sorta. 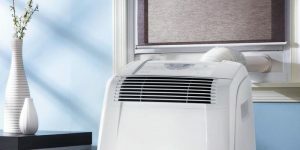 This is one of the most common questions that homeowners have when they are considering whether or not a portable air conditioner is the right fit for them. And, the answer is wholly determined by how you plan on using the air conditioner itself. Yes. 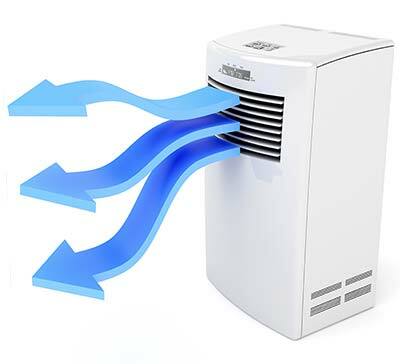 Portable air conditioners can save you money and lower your energy bills, but only if you are strategic in how use it. Okay, now that we got the cliff-notes answer out of way, let’s dive a little deeper into how you can use a portable air conditioning unit to save money on your monthly energy bills. Are Portable AC’s Energy Efficient? No, not really. 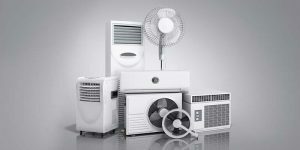 Out of all the various types of air conditioners available to homeowners, portable AC units are generally one of the worst in regard to energy efficiency. 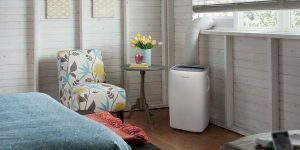 When you compare portable air conditioners to other types of room AC units, you’ll find that they score terribly in a side-to-side comparison. You’ll find that both window and ductless AC units all have higher CEER and EER ratings, making them the cheaper choice for daily operation. The simple truth — Portable AC units will use more energy to hit your ideal cooling temperature. But, that doesn’t mean that you can’t use this type of air conditioner to help you save money and lower your energy bills. I know what you’re thinking. If a portable air conditioner is such an energy hog, then how will it save money? There’s a couple of strategies that you can follow to help you save money, and use your portable AC to stay cool. But again, it all comes down to how you use it. Portable air conditioners still have one notable advantage, and it’s so obvious that it’s baked right into the name. This is the only type of room air conditioner that doesn’t require permanent installation. 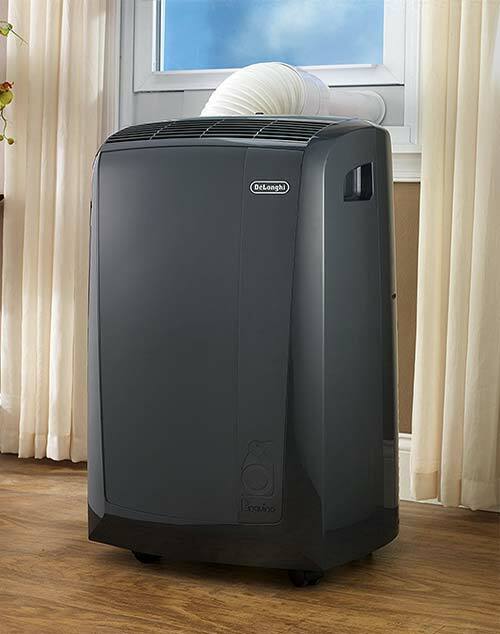 By taking advantage of a few extra accessories, you can easily move a portable AC from one room to another. The majority of manufacturers will include castors with the unit, but these can also be bought from any home improvement store. 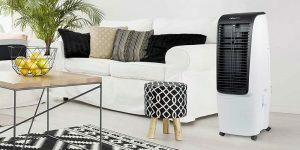 If you plan on moving a portable air conditioner from room to room, these are strongly recommended. They will make it easy to roll around, and you won’t have to worry about straining your back by picking it up. 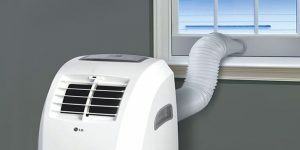 The only significant challenge is whether you need to install the window vent every time you want to move the AC unit. If so, this will become tiresome. Instead of bothering with this inconvenience, yu should consider buying an extra venting kit and installing it in the rooms you frequent the most. If you live in a small home or apartment, this is a great way to save some money. Instead of buying an air conditioner for each room, and dealing with the hassle of multiple installations, you can simply move a portable unit when you need. The extra venting kits are just a simple click into place, and the castors allow you to roll it around your home with ease. The only inconvenience is remember to actually move it when you need. This is where the real money saving opportunities come in to play, and is applicable for every homeowner, no matter how large or small your home may be. And it’s especially useful for anyone that is using a central air conditioner to cool their home. Take a moment to consider how often all the rooms in your house are occupied at the same time. This is probably a rare occurrence, yet… every single day, you pay to keep those rooms cool. How much money do you think you’ve lost, by cooling rooms that don’t really need to be cooled? Instead, try setting your thermostat at a reasonable, yet still relatively comfortable, temperature, and then use a portable air conditioner to quickly cool down the most important rooms. This is called the supplemental cooling strategy. And it will save you lots of money, when used correctly. You no longer have to pay for your entire home to be cool, when only one or two rooms are being used. As an example, think about your bedroom. You spend roughly 8-10 hours in that room every day. And a good night’s sleep is dependent on how comfortable you are. However, as you drift away into deep sleep, you’re continuously paying to keep the rest of your empty home at that same temperature. This happens every time your head hits the pillow. The energy cost adds up over time, and the amount of money that you’re wasting may just give you nightmares. As an alternative, use a portable air conditioner to cool just your bedroom. And set your central air conditioner to a more energy efficient temperature. This gives you the flexibility to stay cool all night long, but save money by using less energy in total. Note: When the cool nip of winter starts to hit, this same supplemental strategy can be applied when heating costs start to rise. Just swap out your AC unit for a heater, or plan ahead and buy a portable air conditioner that has heating functionality. A quick glance at the reviews for popular window AC units, and it’s hard to miss the obligatory complaint about how somebody’s Homeowners Association made them take down their window unit. This is actually a pretty common scenario. While every neighborhood and HOA have their own set of rules, one of the most common restrictions found across them all is about window air conditioners. They’re an eyesore. They may not be safe. They are too loud. There’s a plenty of reasons they are restricted. Unfortunately, most homeowners don’t even realize it, until it’s too late. It’s already installed in your window, and you’re living the comfy life as you open that HOA notice. Unlike the other cooling strategies above, this one will prevent you from wasting time and money with a window air conditioner that is only going to upset your HOA. Nobody has time to deal with an overzealous HOA, and returning a large appliance is a hassle in itself. If you’re one of the unfortunate homeowners that has already bought and installed a window air conditioner, then you may have already lost money. Hopefully, the manufacturer of the AC unit has an accommodating return policy and a low restocking fee. Portable air conditioners get a bad rap. 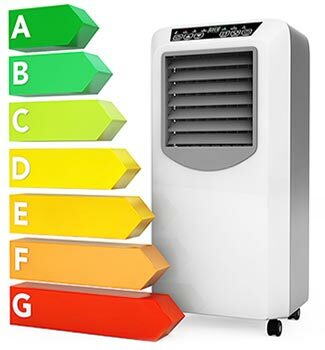 It’s true that they are not the most energy efficient air conditioner available, but if you are clever in how you use the device, there is no doubt that it can save you quite a bit of money and lower your energy bills.